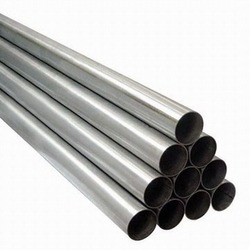 Pioneers in the industry, we offer ss 310 tubes, polish ss 304 pipe, stainless steel pipe, stainless steel ss erw pipes, ss 310 pipes and stainless steel pipes from India. Being perfectly shaped and swift movement of our organization, we are instrumental in offering a qualitative range of SS 310 Tubes. These offered rods are designed by our professionals in compliance with industry quality standards. Our provided rods are manufactured using the latest technology, innovative machines and the finest raw material. Offered rods are widely used in numerous industrial applications such as heavy engineering, construction, and many others. Moreover, these rods are tested on various stringent parameters to ensure their durability and quality. We bring forth for our valuable patrons a high quality range of SS 310 Tubes that are in accordance with the prevailing industrial standards. 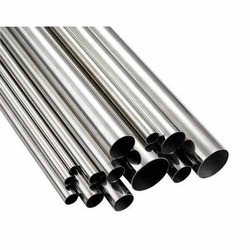 Procured from some of the trusted vendors of the industry, these SS 310 Tubes have been fabricated using best quality raw material. These SS tubes can be availed in all standard sizes. Offered in all specifications, these products serve various purposes across different industries. 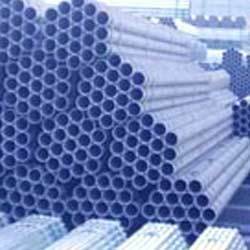 Our organization has successfully expanded its business in market owing to the offered elevated quality array of Stainless Steel Pipe. The offered pipes are manufactured by utilizing high grade raw material and advance technology by our vendor’s skilled engineers. Apart from this, our pipes are tested on various parameters in order to ensure their sturdiness and quality. Clients can avail these pipes from us in different specifications and at affordable prices. While climbing on the success ladder, it has become increasingly important for us to deliver precisely tested and high grade assortment of Stainless Steel SS ERW Pipes. The offered angle is manufactured using high grade raw material and contemporary technology. We assure our clients that our range of angle is quality tested on predefined parameters, in order to meet industry standards. Apart from this, our prestigious clients can avail the entire range of angle, as per their needs, at highly competitive price. We put forward a broad range of SS 310 Pipes that is manufactured in adherence with the set industry standards using advanced technology and optimum quality raw material. In tune with industry quality standard, we provide the entire range in various sizes and specifications, as per the requirement of our clients. Our quality controllers perform a series of test on various parameters, in order to ensure the quality of this tube. Apart from this, clients can avail the entire range from us at industrial leading rates. 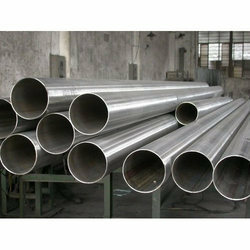 We are engaged in offering our clients a comprehensive range of Stainless Steel Pipes. These pipes are fabricated using high-grade stainless-steel so as to ensure long service life, high tensile strength and utmost corrosion resistance. Our range of Stainless Steel Pipes finds its wide application in several industries like sugar, pharmaceutical, paper, textile, automobile and engineering. 40s & 80s A-312 Remi, Ratnamani, Vishal, Suraj, C.D. Prakash, Heavy, Imported Etc.